The range of topics presented by leading managers of Deutsche Post/DHL to the media last week covered upcoming fleet changes, new network developments and key elements of an internal training program based on a modular structure. Traveling to Leipzig, Germany to take part in the event was well worth the effort. Leipzig-based European Air Transport, a Deutsche Post/DHL subsidiary, is retiring their aging fleet of 33 Boeing 757 freighters to replace them with a new generation of passenger to cargo (P2C) converted 757s. This was confirmed on the sideline of the meeting with international media held last Thursday and Friday in Leipzig. The swop of aircraft will up the transport capacity on regional European routes operated by DHL daughter European Air Transport (EAT) on behalf of DHL Express. This, because each of the forthcoming 757Fs offers an additional container position compared to its predecessor which, after being taken out of service, will be cannibalized for securing usable replacement parts with the remainder being scrapped afterwards. According to managing director Markus Otto of EAT the first successor 757F is expected to soon arrive in Leipzig to commence operations at the end of October or during the first half of November. 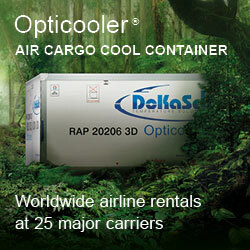 In total, it will be a one-one replacement based on today’s freighter fleet of 33 units. The majority of them will have their home at Leipzig/Halle airport, the largest DHL hub worldwide, with some of the successor 757Fs operating predominantly in and out of Brussels Zaventem where DHL Express is growing remarkably lately. 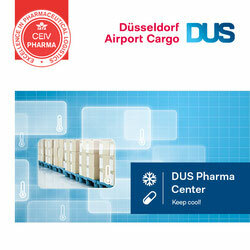 Markus further pointed out that additional capacity is also needed on long-haul routes served by DHL Express. “But it’s not decided yet what type of freighter fits best and which production platform is optimal for operating the aircraft.” Asked about AeroLogic, the 50/50 JV of DHL Express and Lufthansa Cargo, he said that in his eyes AeroLogic would be a very suitable candidate. Currently, the carrier operates 8 Boeing 777Fs on DHL’s and LH Cargo’s global network. When touching his carrier’s fleet perspective AeroLogic’s MD Ulf Weber stated that in his view there is basically sufficient volume to justify increasing the fleet. “But this is a decision our two shareholders must take,” he added. On the sidelines of the event, DHL Express Global Network’s EVP Roy Hughes made public a decision taken by his company to utilize Marseille as sub-hub in order to better connect market places in northern Africa with Europe. “We don’t pull out of Barcelona or Vitoria in Spain but complement our southern European presence by developing Marseille as regional gateway,” stated Roy. He added to this that operations at MRS, that offers 24/7 traffic, will commence during Q1 next year. In his overview DHL’s CEO Express Europe, John Pearson outlined the fundamental conversion of the integrator’s business. 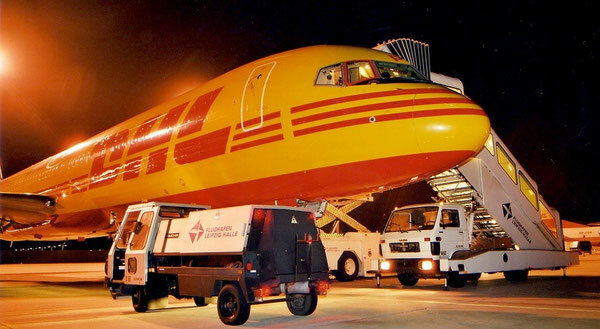 “We developed from a company moving documents to a service provider moving packages,” he stated, adding to this that “our document product is still growing but on a much smaller scale than our parcel business.” Today, DHL serves 2.6 million customers on 5 continents, operates 250 dedicated aircraft and 38,600 vehicles and offers employment for 83,000 staff. It’s often small and mid-sized companies that are assisted by DHL Express to grow their international business. To illustrate this John named a small Russian manufacturer of high-quality costumes and leotards for gymnasts and ballet dancers, which approached DHL 12 years ago to grow their business globally. “Being a small company without a well-known international brand meant we had to overcome a lack of confidence from potential customers. In this aspect, DHL helped us, because their name gives people a guarantee that their purchase will be delivered on time,” said Alexander Oreshkov, the company’s owner. “This example shows how we can assist smaller companies to develop their business and become better known by closely collaborating with us,” Pearson reassures. Growth and quality, he said, are the DNA of his enterprise on its global journey. 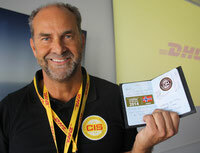 An important tool to achieve outstanding results and improve constant customer satisfaction is DHL’s CIS program. It stands for ‘Certified International Specialist’ which has become “our big differentiator, putting us ahead of the competition,” claims Meredith Taghi, VP Head CIS Europe and Sub Sahara Africa. CIS is a training platform based on modular elements to motivate the employees for playing their specific part in constantly contributing to service quality and customer loyalty. CIS is complemented by CIM for training managers to ensure quality and growth in their area of responsibility. “It’s a fantastic opportunity for building networks, achieving new skills and a higher self-motivation and receive the confirmation to be part of a team that demonstrates the same consistent behavior no matter if in Europe, America, Asia or elsewhere,” lauds Terje Aarbog, MD DHL Express Norway. His country’s organization was awarded best European CIS performer in 2014. “Our 320 Norwegian staff are extremely motivated to defend this title this year,” says the determined DHL Express manager.